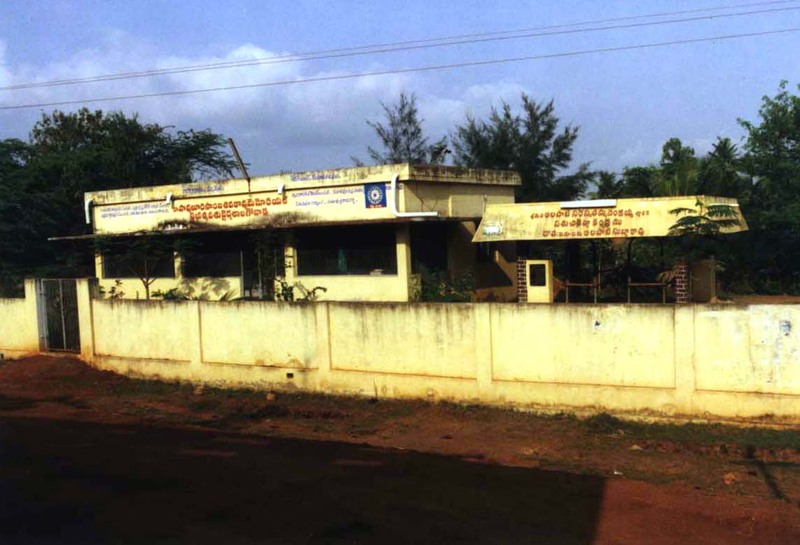 A veterinary hospital was sanctioned by Sri Kandula Obul Reddy, then Minister for Animal Husbandry due to the initiation of Sri Pavuluri Sivarama Krishnaiah along with the help of Sri Gogineni Lakshmi Narayana, brother of Sri N.G. Ranga. Initially it was started in a temporary building. It was inaugurated in April, 1958 by then Chief Minister Sri Neelam Sanjeeva Reddy. Later it was shifted to a new building, constructed in memory of his son by Sri Davuluri Subba Rao, who donated Rs. 7,000 in addition to Rs. 15,000 of donations collected from villagers. Later another new building was constructed as the previous building was in a dilapidated condition. In addition to Rs. 1.20 lakhs from M.P. Funds, donations were given by the Milk Society and veterinary doctors from the village. The new building was named after Dr.Pavuluri Sambasiva Rao,as his daughter gave Rs. 1.5 lakhs donation.Sri Alapati Subba Rao constructed one shed in the hospital in memory of his parents. More than 30 veterinary doctors of this village are working state-wide.